Here's a telling bit from a TrueHoop piece on Greg Oden over the weekend. The recovery during off days and between workouts for Oden have been just as vital as any of the strides he's made on the court. Oden said trainers measure the size of his knees before and after each workout to gauge for any swelling. If the results are acceptable, the training staff clears Oden for the next day — and next phase — of work. Otherwise, his workload is lightened. 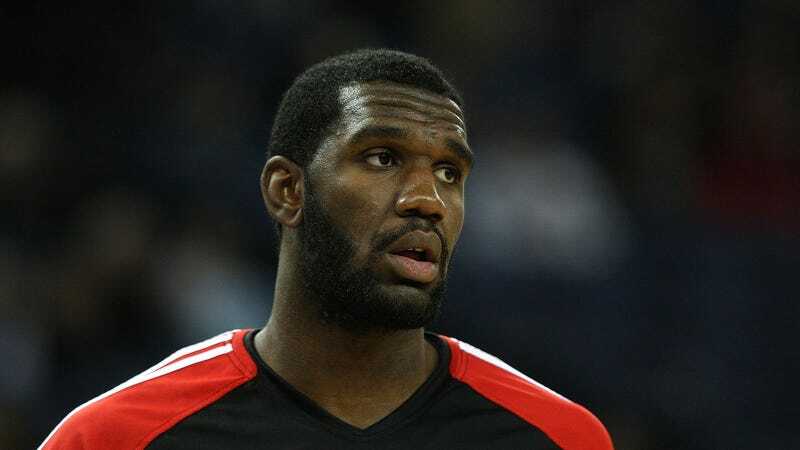 As a precautionary measure, there's really nothing that isn't worth trying if it means Oden has a chance to help the Heat. He last played in the NBA in the 2009-10 season, his second season, when he played limited minutes but posted a 23.1 PER. When healthy, he's been a tremendous rebounder (if foul-prone), and his skills could help temper a lot of the Heat's deficiencies. But still, man, handling a professional athlete's brittle joints as though they're a mummified Faberge egg speaks to how unlikely that probably is.